Dead rats have been used to smuggle drugs, mobile phones and other contraband into a prison in the UK. The items were found sown inside the bodies of three of the dead rodents inside the perimeter fence at HMP Guys Marsh in Dorset. The UK Prison Service said it is the first recorded case of its kind. Prison staff patrolling the grounds made the find after they noticed that the rat’s stomachs had been stitched closed. 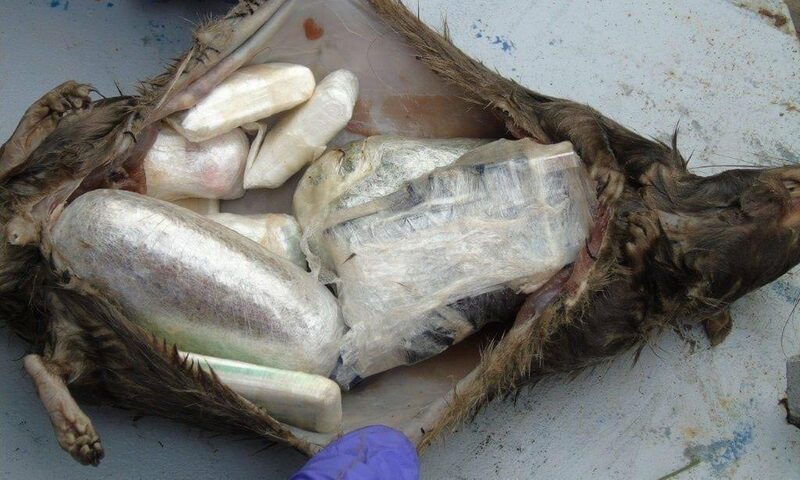 The found that the animals insides had been replaced with five mobile phones and chargers, three SIM cards, cigarette papers, and drugs including cannabis and synthetic marijuana. The UK Ministry of Justice said the rats had been thrown over a perimeter fence and a prisoner had been waiting to collect them. UK Prisons Minister Rory Stewart said: “This find shows the extraordinary lengths to which criminals will go to smuggle drugs into prison, and underlines why our work to improve security is so important.